Whether it’s a get together with friends, an excuse to get dressed up, or time to be enjoyed together as a family, there’s something for everyone and with 23 fixtures in 2018 there’s sure to be a date to fit your calendar. 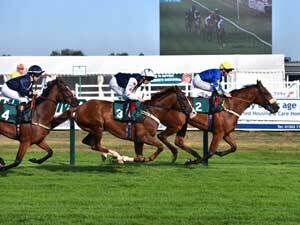 Prices for racing are from £14.00 when booked in advance online. Discounted rates available for advance online ticket puchases and advance group bookings (£4.50 per person group booking discount for parties of 15 or more when you book your Premier or Grandstand and Paddock tickets in advance through the racecourse office).